You Are Here: Home > What is the i-ACTIV AWD® System? The i-ACTIV AWD® system is Mazda’s new-generation, fully autonomous all-wheel-drive technology. Whether you’re braving harsh driving conditions during a snowstorm in Kansas City or traveling in rainy weather, i-ACTIV AWD® has your back. What’s more? You don’t have to sacrifice the excellent fuel economy ratings Mazda is known for to achieve greater traction, controlled wheel grip, or capable Mazda CX-5 towing. Below, you’ll learn more about this unique AWD system and the new Mazda AWD SUVs and crossovers that offer it! How Does i-ACTIV AWD® Work? While you’re on the road, i-ACTIV AWD® never rests; it’s constantly tracking road conditions and small changes in wheel speeds. Using a series of sensors, the system creates a picture of the surrounding driving conditions. i-ACTIV AWD® interprets the information from the sensors and can make adjustments to the amount of torque allocated to the front and rear axles. This is what makes i-ACTIV AWD® an active torque split AWD system, and is why it’s such a great choice for Independence roads. What is the Front-Wheel Slip-Warning Detection System? The Front-Wheel Slip-Warning Detection System also uses a variety of sensors — but for another purpose. These sensors monitor ground speed and front-wheel speed, allowing the system to sense tiny wheel slips that could lead to tire spin. Torque Control System works closely with Front-Wheel Slip-Warning and i-ACTIV AWD®. Even in FWD mode, it almost instantaneously transfers a small amount of torque to the rear wheels and helps your vehicle switch to AWD without lag. Which Models Have Mazda AWD? 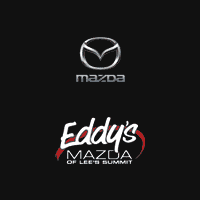 Explore Mazda AWD Cars at Eddy's Mazda of Lee's Summit! Schedule a test drive with one of the Mazda SUVs to experience the power and precision of i-ACTIV AWD®! While you’re here, be sure to browse our new vehicle specials on models like the Mazda CX-5 and Mazda CX-9.